Please see this fiddle. Notice instantly before loading the border-radius works fine. A few milliseconds later the rounded corners disappear. How can I add rounded corners to embedded YouTube videos? This is very simple using CSS3. All you guys are missing out is the z-index which is playing bad cop. Look at the code below, I wrapped the player in a div, set it's height and width as I like, set overflow to hidden and z-index as required. Border radius works pretty awesome! In order to create the look of rounded corners, you would have to make four overlay divs that look like a rounded corner and position them at each corner. Not an elegant solution at all, but it's the only way to create that effect. An example to get rounded corners on youtube videos or anything else, like iframes or img tags. At first the browser treats it like any other block element and applies the border radius. Then the flash object finishes loading and just goes over the top, as there is no way to use border radius on a flash object, they disappear. Unfortunately, rounding the corners of embedded Flash videos such as YouTube and Vimeo is quite challenging due to the differences between older browsers. If all of your end users are running a browser that supports HTML5, then just add player=html5 to the iframe address like so: http://www.youtube.com/embed/QKh1Rv0PlOQ?rel=0&player=html5. This will force their browser to load the HTML5 version of the video, and the border-radius will work just fine. If some of your end users' browsers don't support HTML5, then things start to get ugly. Your next-most elegant solution will be something like what Ivijan-Stefan suggested, which is to address each browser individually and throw the !important tag on each element, possibly supplemented by adding wmode=transparent to the iframe address like so: http://www.youtube.com/embed/QKh1Rv0PlOQ?rel=0&wmode=transparent. This will buy you a few extra browser versions' worth of compatibility, so you might be able to call it quits at this point. Note: If you make the corner overlays too large (greater than ~20px), then they will cover up the player controls! It's only possible with HTML5 mode turned on for youtube player. Here's an easy yet very practical and useful "hack-solution" to this challenging problem. This is quite a flexible solution, though it uses some additional layer for border-radius. This method is also compatible with most (all) modern browsers. Hope it was useful. You need to add this code into your css. And, just apply those classes into your div and iframe individually. The final result should be displayed like this. Not the answer you're looking for? Browse other questions tagged css youtube or ask your own question. 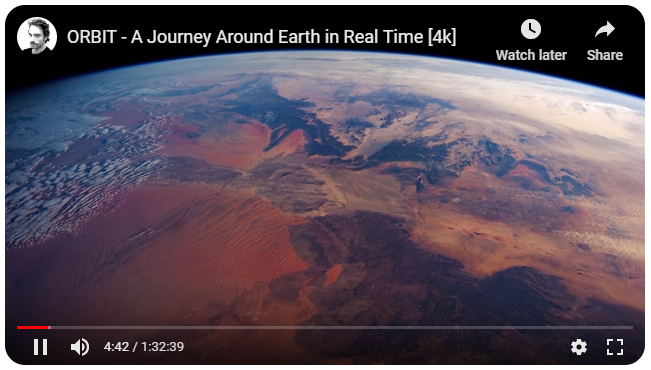 How to add border-radius to an embedded youtube video? Possible to use border-radius together with a border-image which has a gradient?